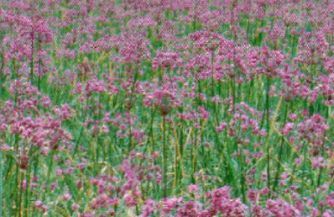 While the Egyptian Walking Onion brings pizzazz to a landscape, its “cousins” should not be forgotten. They may not be as interesting to look at, but they are just as easy to grow and will bring a nice bounty to your table. You don’t have to put them into a formal vegetable garden, just find a space here and there in your yard. Potato Onions. Potato onions have a milder and sweeter flavor than common onions. No one knows why they’re called potato onions, because they don’t look or taste like a potato. Other common names include ground onions or hill onions. 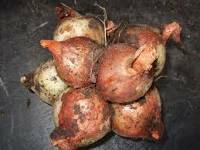 When you plant a bulb, it eventually divides into several new bulbs. Depending on the type, the number of new bulbs varies from one to more than ten, and the size ranges from small up to 3 inches in diameter. 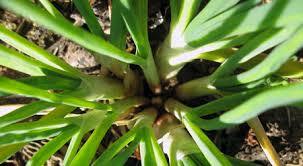 Typically, the larger bulbs are eaten and the smaller ones are used for planting. Grow potato onions like EWOs. Some varieties are “Yellow,” “Red,” “Kentucky Hill” and “Greeley’s.” The Yellow Potato onion has good drought resistance, pink root resistance, and is widely adapted for different growing regions, except Florida and southern Texas. Shallots. 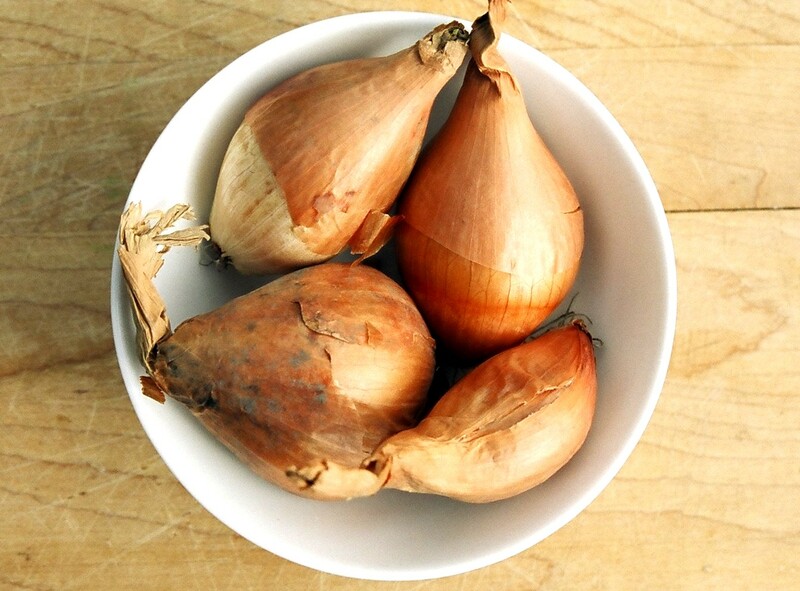 Shallots, which form bulbs up to 1.5 inches in diameter, resemble oversized garlic cloves. Many people prefer shallots to onions in cooking due to their richer, yet more subtle, flavor. 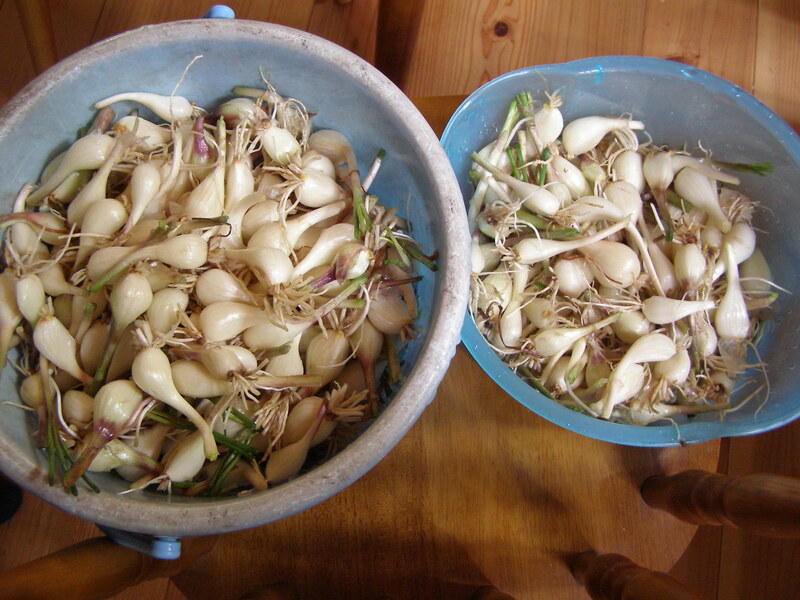 The general guidelines state that in most areas of the country (Zone 5 or higher), plant shallots after autumn’s first frost, two inches deep and about six inches apart, but if you live in a colder climate, plant shallots in early spring. Actually, shallots can be planted in the late fall for an early summer harvest or in the early spring for a late summer crop, with the bonus of fall and spring plantings creating a double harvest. Only where winters are extreme should a fall planting be avoided. Most shallots do not flower or produce seed, although breeders have developed some new varieties that can be grown from seed. They are propagated in the ground the same as other bulbing multipliers, and each bulb produces from four to a dozen baby bulbs in a bunch, joined at the base by a membrane. In most varieties, each bulb is split into two large cloves that may or may not share a common wrapper. Rakkyo. If you’ve ever purchased a jar of those tiny pickled onions, chances are you bought Rakkyos. The Japanese pickle and export thousands of barrels of Rakkyo each year. It is a multiplying perennial with a backwards-growing twist. Planted in late summer, Rakkyo grows new leaves and scapes, which are leafless stalks, at the same time. 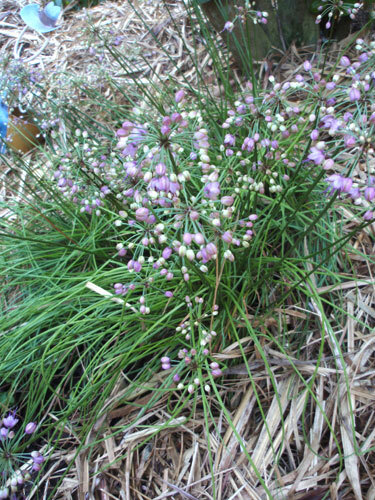 In October, the scapes put out flower heads that do not produce seed. The plant then goes through the same winter dormancy as other autumn onions, producing bulbs in the late spring and early summer. Each bulb divides into from four to 14 new full-sized bulbs, each measuring roughly 1-by 1/2 inch. By July, tile bulbing is complete; if not harvested (called “lifting”) then, the plants go through a short summer dormancy. By August, they start their growing cycle again.